When winning the bid for the 2012 Olympics, London declared the Games could become a “cutting edge example of sustainability.” This far the city has done very well succeeding in what they have proposed for the Olympics and has set a new sustainability standard for future Games. Unlike other proposal, Londonincluded food in the sustainability strategy of the Games. A big problem for the Olympics is waste. There are 14,700 athletes, over 10 million spectators, 21,000 journalists, and 200,000 staff present at the Olympic games. With this high number of people coming into the City, a lot of waste is produced. During the building stage leading up to the Olympic Games, London proposed that 90% of reused and recycled materials would be used. 70% was the reused and recycled goal during the Games. What was really shocking is the target they set for zero waste directly to landfill. These goals for a greener Olympics is done by partnering with suppliers, commercial partners, and the public. Coco-cola also works with the city ofLondon. There are a large number of recycling bins around the grounds for recycling to be collected. Other garbage is to be collected separately to be sent to energy-from-waste facilities. 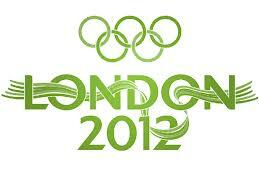 Plant based packaging is also a major part of the London Olympics. McDonalds will even be using cups, cutlery, straws, lids and containers that meet the EN13432 standard and are made of Mater-Bi. Standard EN13432 is the agreed European Standard for compostability. Mater-bi is the bioplastics that are biodegradable and compostable. By following their plans to achieve their projected goals, London 2012 aims to achieve the award for the biggest zero waste event in history.